As we previously said, hydration can be a great start in cases of cramps, but sometimes our bodies need more than just water. The body requires specific nutrients and minerals that cannot be provided by water and electrolytes. 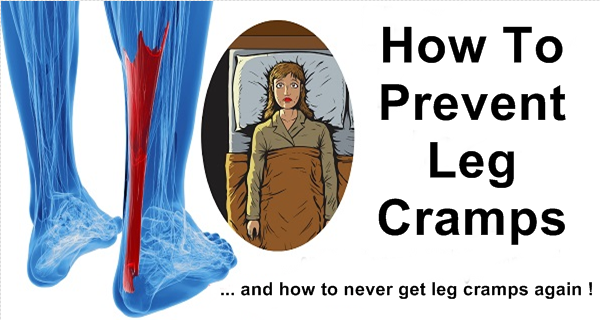 Leg cramps that are caused by dehydration are usually a result of low potassium or high sodium. Potassium is a mineral that is great for preventing cramps, for it interacts with sodium in the body to direct and control liquids. Apart from being able to protect you from cramps, potassium can also act as a cramp relieving agent. The consumption of foods that are rich in potassium while your leg (or any part of your body) is cramping, can provide a quick relief. When potassium enters the digestive system it helps by directing the fluids to the affected area. In addition, one of the best minerals for preventing leg cramps is magnesium. If electrolytes are the masseuse, then magnesium is the massage oil. One should consume about 250-300 milligrams of magnesium a day to avoid cramps, for the human body uses magnesium rapidly. Fish, quinoa, dark chocolate, spinach, molasses, nuts, lentils, pumpkin seeds and prepared potatoes, are all foods high in magnesium.